The channels advertised on Google Hotel Ads (among them the hotel’s direct channel) can now show, as well as their prices, photos of the different published rooms. 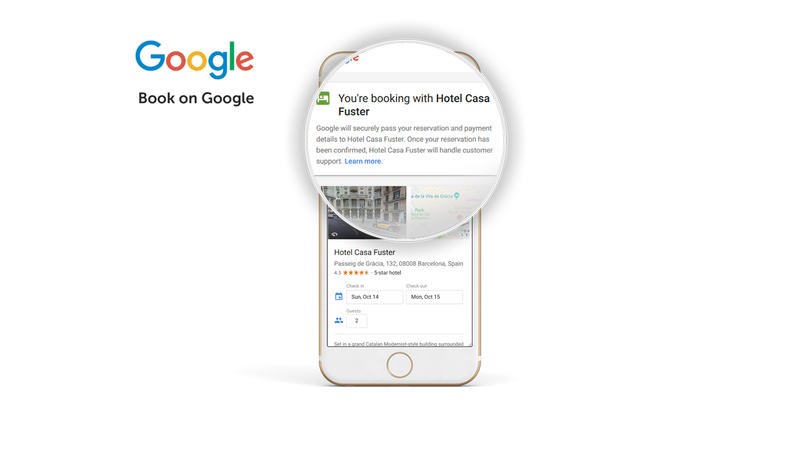 This new feature has arrived thanks to Room Booking Module or RBM, the newest feature that Google has added to its product, Google Hotel Ads. Undoubtedly, its intention is to continue presenting more information and options to the user in order to facilitate their decision-making process. Images are a fundamental element to choose one room over another, thus facilitating the sale of products of a higher quality and, consequently, a higher price. Therefore, this is another step towards providing Hotel Ads with features normally associated to OTAs, which will make users go to them to choose a hotel. Google does not want to be yet another price-comparison site but rather the main searching, decision-making and even booking point with Book on Google (launched in 2017, despite it only being active in the United States and the United Kingdom). In your current Google Hotel Ads campaigns (which Google calls Standard), you can choose whether you want to redirect the user to your website or to the Book on Google funnel so they can finish their booking there. It is your decision to activate it or not. 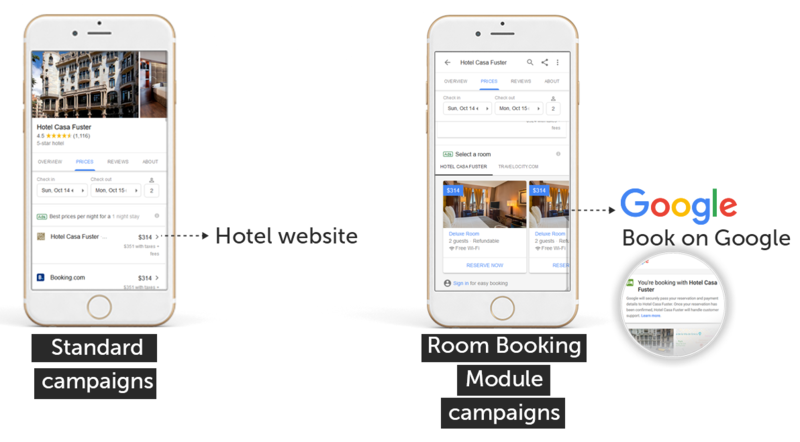 On the other hand, in campaigns which are part of Room Booking Module, all users will be redirected to Book on Google, without the possibility of redirecting them to your hotel’s website. We understand that this move by Google is to boost Book on Google and looks increasingly strategic. As of today, RBM results are not shown on standard Google searches of a hotel name on a desktop computer. However, funnily enough, they appear on searches from a mobile device. On a mobile device, in the Overview and Prices tabs, you can see the RBM room photos. RBM shown on mobile in 20 seconds. RBM shown on desktop in 20 seconds. RBM is currently only active in sales points in the United States. In other words, its results are only shown to US users on google.com. Google is planning to expand this feature to other markets in the future. Higher upselling possibilities. By showing all rooms and rates in a more attractive manner, there is a higher probability that the user will book and feels more attracted by a superior room. I want to activate Room Booking Module. What do I need to do? 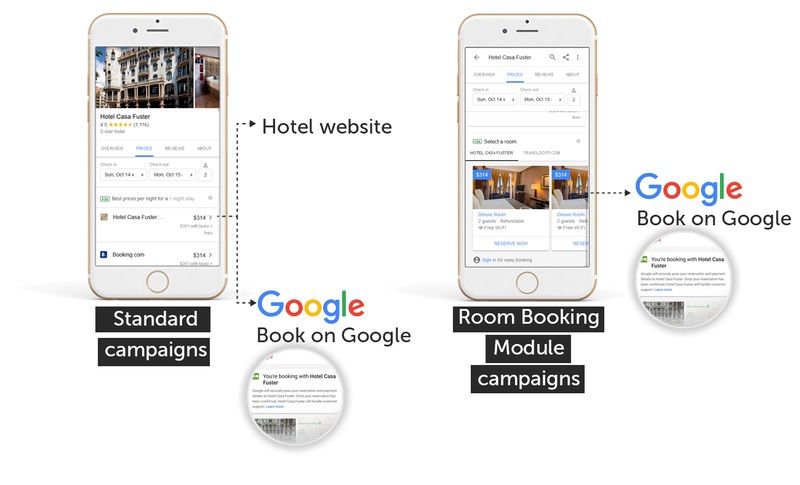 Since it is linked to Book on Google, you need a Google Hotel Ads integration partner that can also offer Book on Google (BoG). As of today, there are very few partners with this technology available to them. At Mirai, we are proud to be one of them since November 2017. You can request a complete Book-on-Google partners list from Google (you can also find Google Hotel Ads partners here). With this new module. 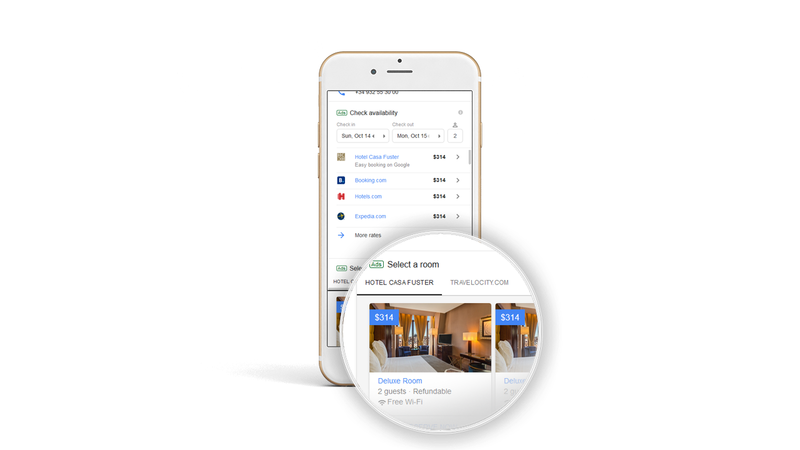 Google Hotel Ads continues to improve its result to offer the same level of detail as other metasearch engines and OTAs. Recently, it added the occupancy filter to its searches and now it allows you to show photos of the rooms without leaving the same page from where the search was made. We believe that RBM is a good opportunity to attract your potential client visually, showing your rooms and reaching where some OTAs still can’t. The potential pros considerably outweigh the cons. It is worth trying it out and analysing the results. Among the many news announced by google for the coming months, certainly one of the most interesting. Will we be surprised, or will we be able to anticipate and exploit this new opportunity immediately and well? the RBM functionality is already fully operative for GHA partners that have Book on Google running.